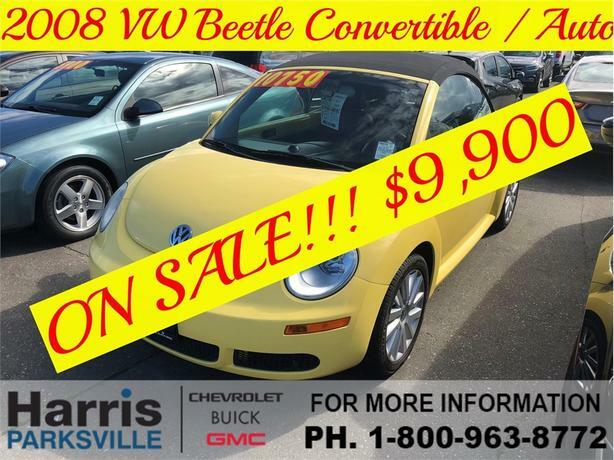 2008 VW Beetle SE in Yellow with an AUTOMATIC transmission is looking for a new home. This vehicle was traded in by local owners. INTERIOR features include POWER WINDOWS and LOCKS, CD PLAYER, CRUISE CONTROL and AIR CONDITIONING.